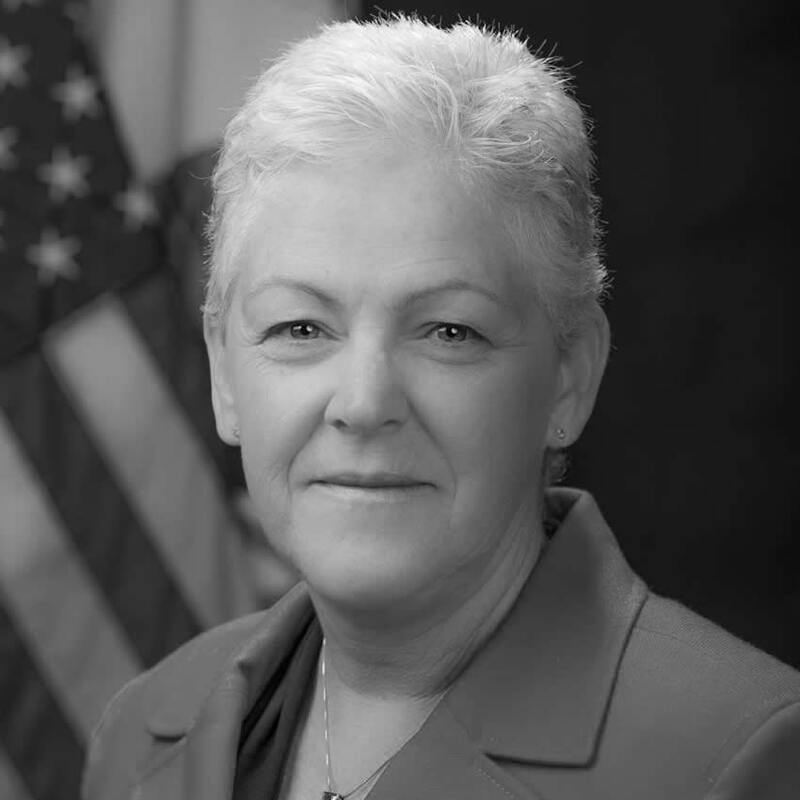 A passionate advocate for sustainability, public health and environmental protection, addressing climate change and increasing renewable resources, Gina McCarthy is one of the world’s most respected voices on the critical interconnection between the environment and global public health. For more than 30 years as a career public servant in both Democratic and Republican administrations, and now, at Harvard’s T.H. Chan School of Public Health, she has championed common sense strategies that protect the environment and public health while fostering economic growth. McCarthy gained international recognition as head of the Environmental Protection Agency under President Obama, leading historic progress to achieve the administration’s public health and environmental protection goals and Climate Action Plan. In 2015, McCarthy signed the Clean Power Plan, which set the first-ever national standards for reducing carbon emissions from existing power plants, underscoring the country’s commitment to domestic climate action and spurring international efforts that helped secure the Paris Climate Agreement. During her tenure, EPA initiatives cut air pollution, protected water resources, reduced greenhouse gases and strengthened chemical safety to better protect more Americans, especially the most vulnerable, from negative health impacts. Internationally, McCarthy worked with the UN and WHO on a variety of efforts and represented the U.S. on global initiatives to reduce high risk sources of pollution. Known for her pragmatic approaches and disarming, plain-speaking style, McCarthy has earned the respect of the environmental, public health and business communities with her thorough understanding of all sides of climate, air quality, chemical safety, environmental justice and health equity, and water, land and natural resource protection and restoration discussions. A gifted communicator and strategist with a talent for making environmental issues nonpartisan, highly personal, and solidly backed by science and the law, McCarthy is consistently credited with finding common ground and forging sustainable, common sense solutions. Combining a contagious passion for democracy with an urgency to take action, Gina McCarthy has spoken to audiences around the world about the dangers, challenges and opportunities that face the health of our people and the stability of our planet. As equally in her element with business audiences and environmental groups, Gina McCarthy leaves audiences informed, energized and inspired to do what they can to make a positive difference in their homes, communities and workplaces - for the sake of their families and our world.